Reading the history of a church is like watching a pilgrimage of a people seeking God. Here at Deep Run East this pilgrimage began over two and a half centuries ago. The earliest members came more than thirty years before the Declaration of Independence. It is not known when the Deep Run Mennonites first began meeting as an organized group. 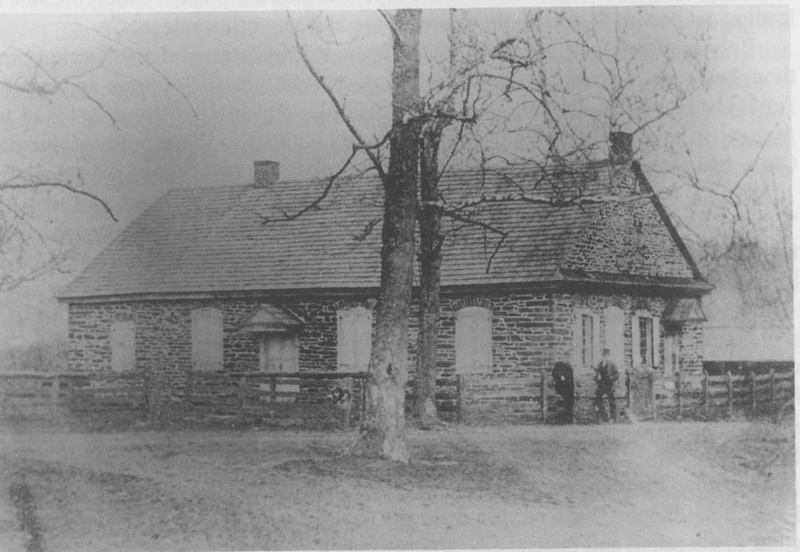 However, their first meetinghouse was a log structure probably built in 1746 when a William Allen essentially donated some land for the purpose of building a meetinghouse. Most of the earliest people were farmers but some also worked as weavers, blacksmiths, millers, and other trades. These early immigrants, many from Germany and Switzerland, came seeking both religious freedom and economic opportunity. America provided much religious freedom for many people. But religious groups that upheld peace and nonresistant beliefs during times of war often suffered negative consequences. That included the Deep Run Mennonites. During the Revolutionary War for Independence (1775-1783), one likely Deep Run Mennonite had his land confiscated and others had horses and wagons seized for military use. During the Civil War in the 1860s, many were required to pay for substitutes if they were drafted. In the twentieth century, Mennonites and other peace churches began working with the government to provide peaceful alternatives to military service. At times this involved service in hospitals and relief work and helped to increase interest in mission work both near and far. But even earlier in the mid 1800s, an interest in missions had begun. Along with this, some wanted a written church constitution, Sunday Schools, and church publications. Just as in many movements today, not everybody was ready for change at the time. Thus at Deep Run, as well as a number of other Mennonite churches at the time, the church divided. The people who wanted change then established a new church, Deep Run West, just across the road from the church they left. Many years later the offspring of the people who were opposed to these changes would adopt the same changes at Deep Run East and develop strong ties between the two churches. The twentieth century brought many changes to Deep Run East. In 1904, Sunday School for all ages was begun. In the early to mid 1900s, they introduced special services for teaching and evangelism and for worship through special music. In the mid 1900s and later, youth and children’s groups for social, teaching and mission purposes were formed. Also beginning in the mid 1900s the church was involved in the starting of mission churches and increased support of foreign missions. In the late 1900s the church increasingly began to reach out to the surrounding community. A pre-school was established to serve both church and community people. One of the longstanding emphases of the congregation has been many trips by teams to work with The MAMA Project in Honduras. Deep Run teams have emphasized health care and pouring concrete floors in scores of private homes that previously had only dirt floors.